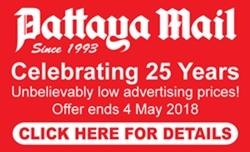 A Pattaya police officer has been fired on charges he bribed and sexually assaulted 23-year-old Anchalee Yaemjathuras. A Pattaya police officer has been fired on charges he bribed and sexually assaulted a Chaiyaphum woman. Pol. Sr. Sgt. Maj. Chaiya Thiangthaisong was dismissed on an order from Chonburi police chief Pol. Maj. Gen. Nanthachart Supamongkhol before the accused officer even had a chance to acknowledge the allegations. A panel has now been set up to investigate the sacked officer and three others possibly involved in the scandal. 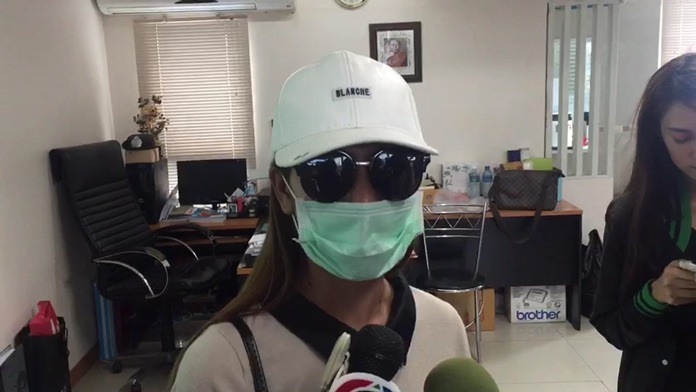 The incident came to the attention of police brass after 23-year-old Anchalee Yaemjathuras posted a video online detailing how Chaiya had allegedly offered to drop drunk driving charges against her if she paid him 20,000 baht. In addition, she complained that the officer had hugged and twice kissed her in the Pattaya Police Station lobby in front of a crowd. She had been jailed after Chaiya stopped her as she was driving a motorbike on Second Road May 28. She was breathalyzed and found to be over the legal limit. She was released after she said she paid the bribe. Pattaya police chief Pol. Col. Apichai Kroppech said he met with Anchalee and found her story credible, so he forwarded the case to Nanthachart. Chaiya now faces charges of taking a bribe, illegal detention and public indecency.